We are delighted to announce an exhibition by three prominent contemporary painters, who in their work have tackled and redefined the theme of the landscape. Swiss artist Franz Gertsch (*Morigen 1930) is know for his monumental hyperrealist paintings, that he began in the Seventies, depicting scenes and people in the lifestyle of the time with great impact, later making impressive large scale portraits and landscapes. In the Eighties, in search for a more abstract and purist style, he started making hyperrealist monochrome woodcuts – something nobody had ever done before – and thus completely reinvented the medium. We will show the recent monumental woodcut Winter, 2016, that depicts trees and bushes covered with snow in the heart of the forest, as well as some smaller works representing grass and leaves. Franz Gertsch participated in Documenta 5 in Kassel in 1972 and the Venice Biennale in 1978,1999 and 2003. In 2002 the Franz Gertsch Museum was founded in Burgdorf near Bern to accommodate a permanent exhibition of the artist’s paintings and monumental woodcuts. Retrospectives of his work have been held at Kunsthaus Zürich (2011), Kunstmuseum Bern (2005-06) and the Albertina in Vienna (2006). Recent solo exhibitions include Musée Jenisch in Vevey (2016 – 2017) and Museum Frieder Burda in Baden-Baden (2013). American artist Alex Katz (*New York 1927) is one of the leading figurative painters of our time. Since the 1960s he has developed a highly innovative style unlike any of his contemporaries. His landscapes and figures excel in their simplicity of line, form and colour. His brushwork is light and confident, the compositions subtle and simple, the dimensions majestic. Katz creates powerful images. With his huge canvases, selective palette and two-dimensional surfaces he creates paintings that have both realistic and abstract elements and refuse to allow themselves to be pigeonholed. We will show the recent large painting Untitled (Beach Scene), 2012 depicting bathers in a vast expanse of turquoise water in Maine, as well as some smaller paintings on board. The work of Alex Katz is widely represented at museum in the USA, including MoMA, the Met and the Whitney in New York, as well as in European Museums, like Tate in London, the MMK in Frankfurt, the Albertina in Vienna and the Guggenheim Museum in Bilbao. 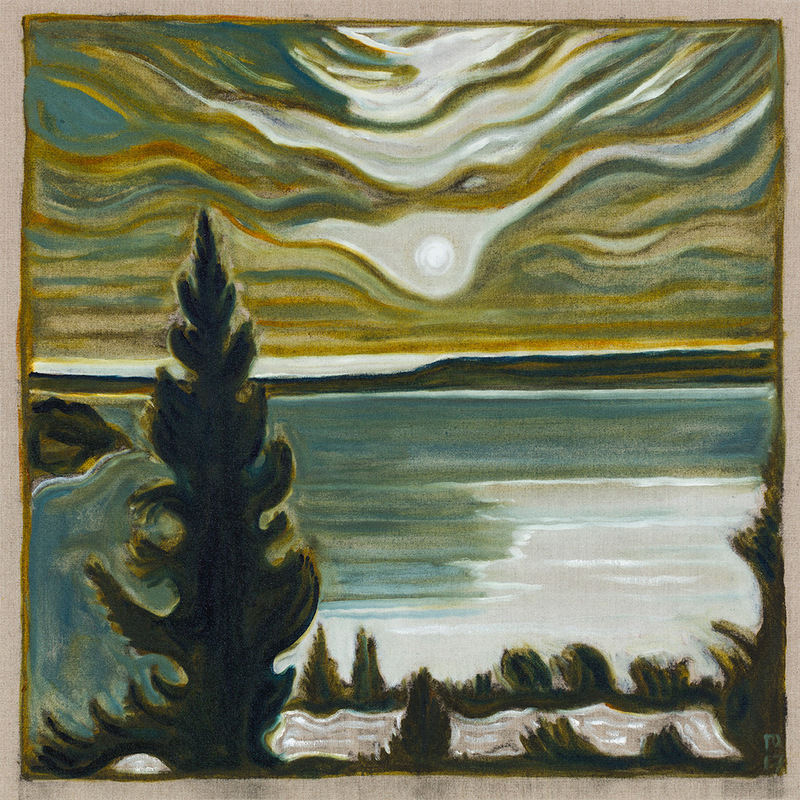 Celebrated for his vibrantly expressive portraits and landscapes British artist Billy Childish’s (*Chatham 1959) work is thematically expansive, but draws strongly on the autobiographical. His use of broad loose strokes and translucent color fields shows a profound connection with the rich history of painting, as an acknowledgement and observation of those painterly traditions. A highly prolific painter, musician, poet, and writer, Childish has been working extensively in these fields since the mid 1970s. Often drawing on the autobiographical, the artist depicts real locations and people related to his past and present, as well as what he describes as ‘dream’ landscapes – often of California and the Pacific North West – places that the artist has direct connection with through his wife. An other-worldly sense of place emerges in this landscape, where the viewer can join the artist on his journey of discovery. Time stands still, yet the hilltop and lake serve as ciphers for a place of significance to be speculated about in both narrative and psychological terms. 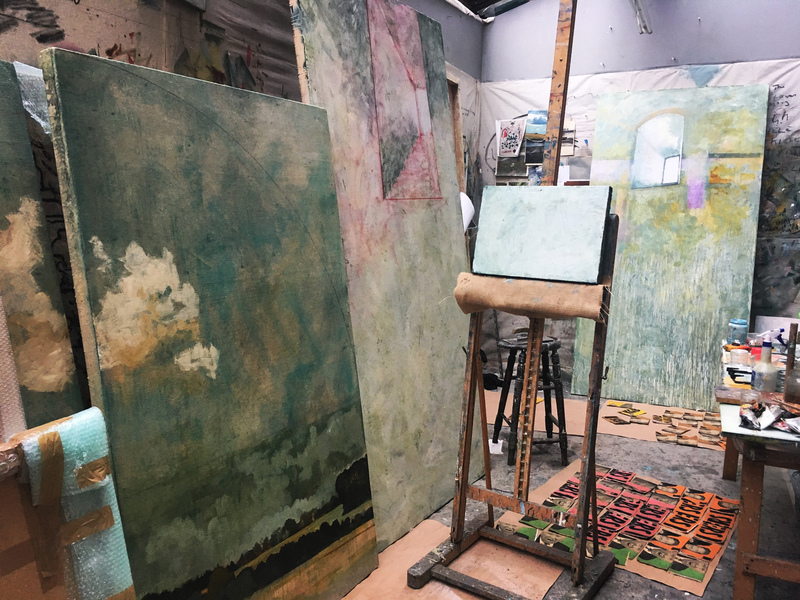 Recently Billy Childish has exhibited at the Goss-Michael Foundation in Dallas (2017), Aachener Kunstverein in Aachen (2014); at Dockyard Museum, in Chatham (2012) and at White Columns in New York (2011).